Whats interesting about this absurdly easy cooking is it takes 15 minutes to prepare & 5 minutes to cook. 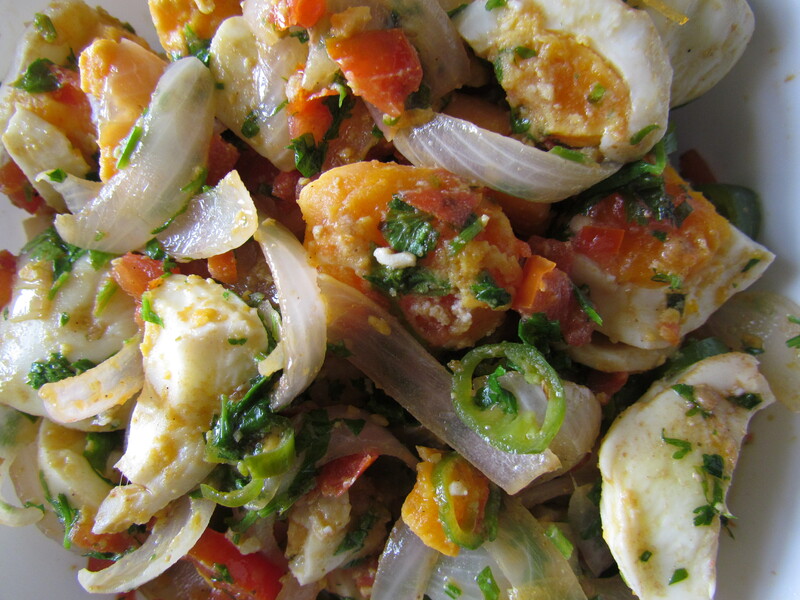 First time cooks / early teenagers can also make this delightfully YUMM dish & surprise all. 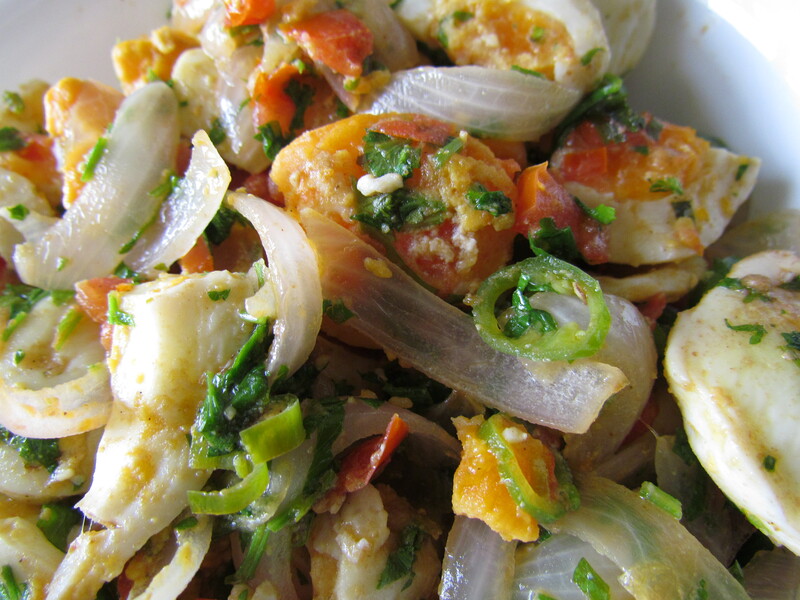 The taste is a combination of sweet (from onions), sour (from tomatoes), hot (from chillies) & of course salty + a chatpata feel due to chaat masala……… u wud just love it. About a decade back when we shifted from Kolkata to Gurgaon, I noticed boiled eggs being sold from thelas on the street. I thought ‘why wud someone buy such a basic thing as boiled egg that can be easily made at home. 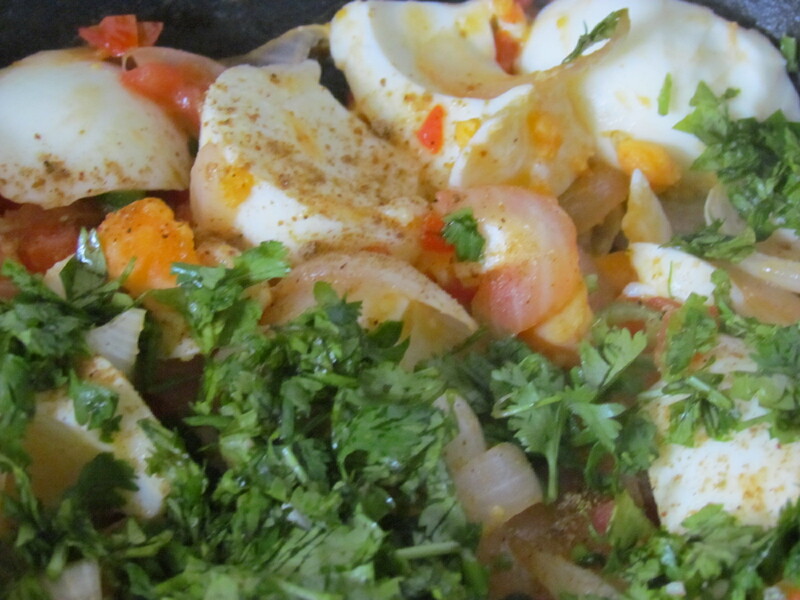 Then I realized that the thelas do not just serve the egg – they spice it up with chopped raw onions, tomatoes, coriander & chaat masala. A month back I read about a concept of scrambling of boiled eggs by a roadside stall in Jodhpur – in a facebook post by Chowder Singh. That set me thinking – why not try my version of it at home? Start with 4 Medium Boiled eggs. 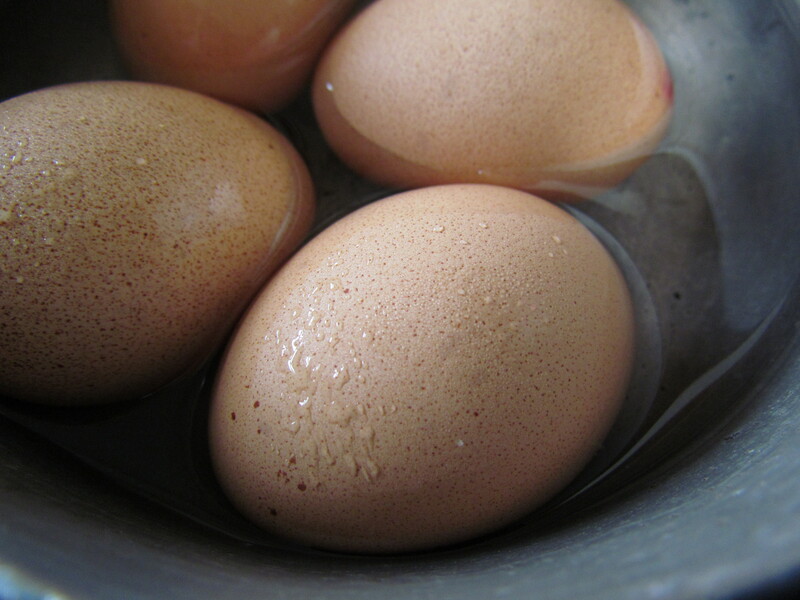 Make sure the yolk is no more liquid nor fully solid. Keep aside. Cut 2 onions to thick pieces. 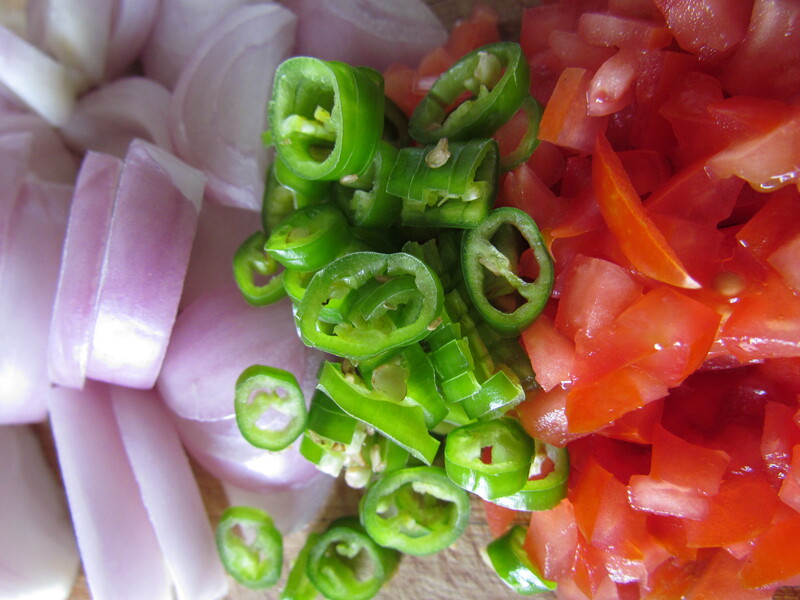 Chop 1 tomato, 2 green chillies & a bunch of dhania (coriander) leaves. 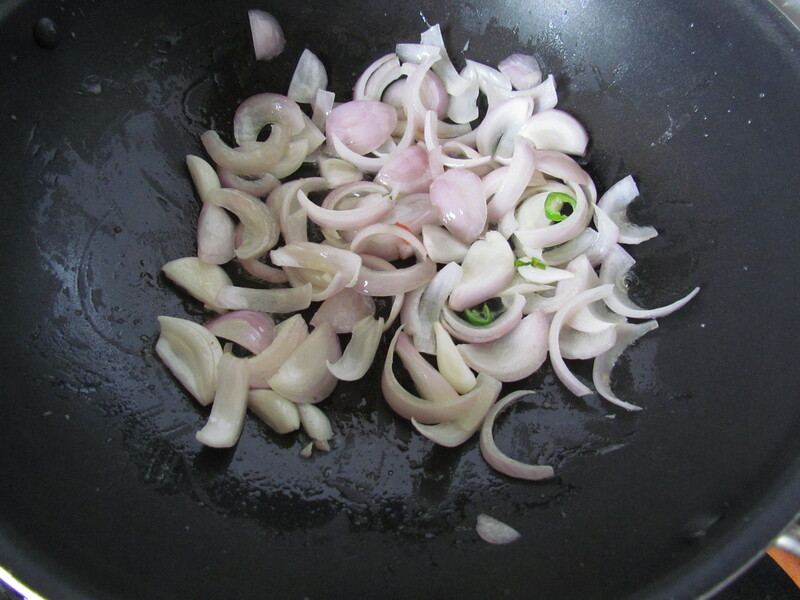 Fry the onions with 1 teaspoon butter on low fire till they start turning brown. 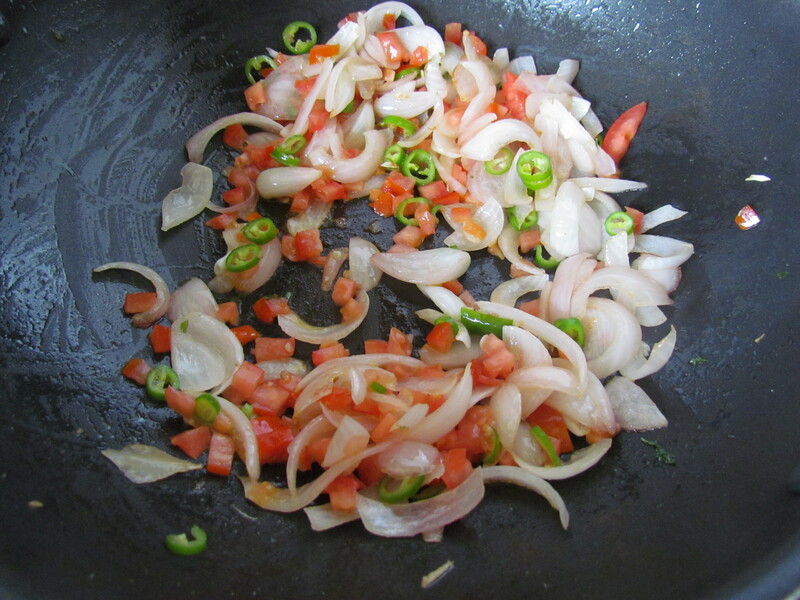 Add tomatoes & green chillies. Sautee on high heat for 2-3 minutes while stirring constantly. Add salt to taste. 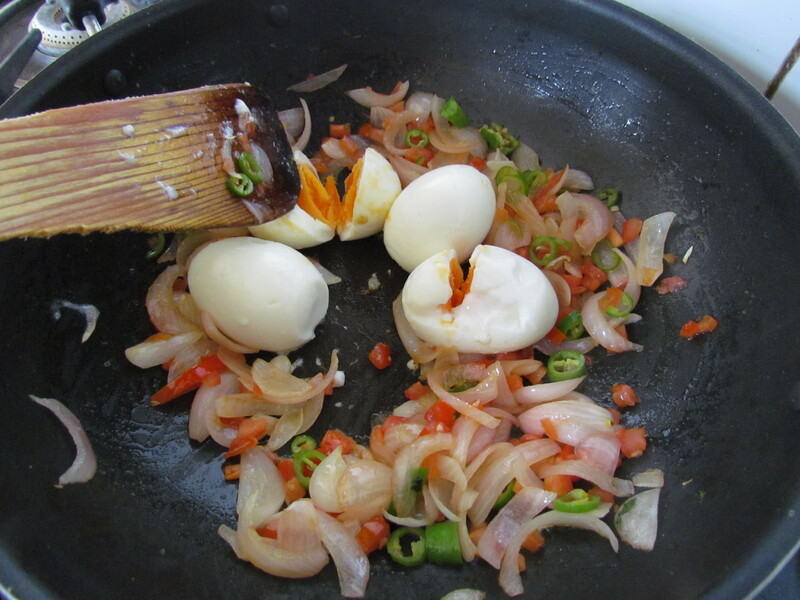 Add the boiled eggs & break them with spatula (as seen in the picture below). Mix carefully – try not to let the yolk turn to a paste. Add salt & chaat masala to taste. & U r ready for a YUMM side to a wow breakfast / evening snack. Njoy with crisp toasted bread. 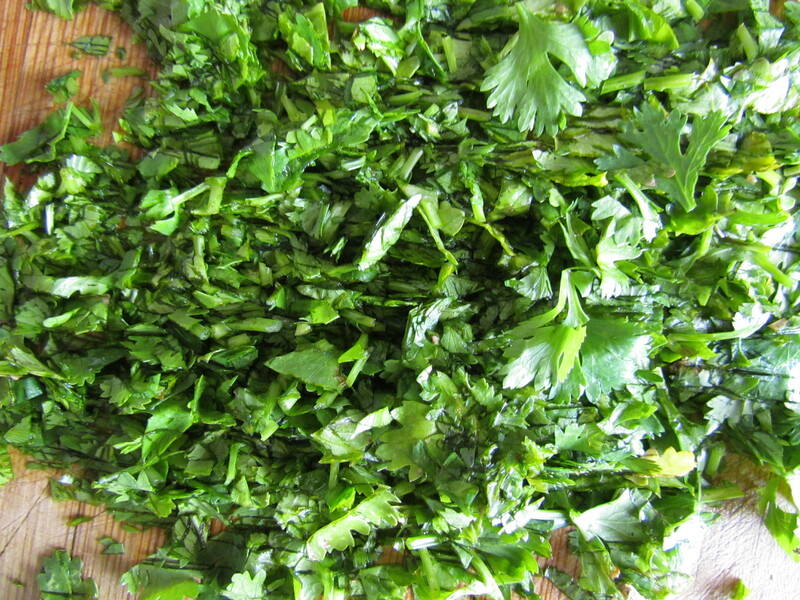 I have already tried this out…though i did not have coriander leaves…but the end result was extremely good!! and yes, very easy to make!